Trial & Error may be missing one of its lead stars next season. 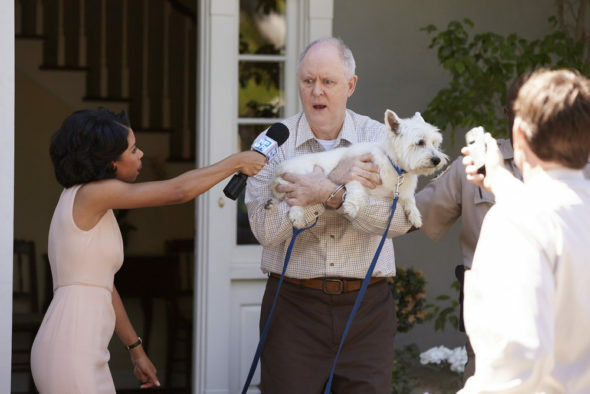 Recently, NBC chief Jennifer Salke explained why John Lithgow won’t be the focus of season two of the TV show. Season one centers on new lawyer Josh Segal (Nicholas D’Agosto), who is assigned to defend Larry Henderson (Lithgow), a poetry professor accused of murdering his wife. The cast also includes Krysta Rodriguez, Steven Boyer, Jayma Mays, and Sherri Shephed. When Trial & Error was renewed in May, it was reported that the NBC comedy would be treated as an anthology series, meaning season two will feature a new story. While most of the season one cast is returning, NBC boss Jennifer Salke says Lithgow will not be a part of the new season since his story was wrapped up in season one. What do you think? Did you see season one of Trial & Error? Will you watch season two? More about: NBC TV shows: canceled or renewed?, Trial & Error, Trial & Error: canceled or renewed? The only reason I watched was because of John Lithgow. He was hilarious, the rest of the cast, ho hum. No John, no show as far as I’m concerned. This show was barely funny, the only reason I watched was John Lithgow. If he’s not going to be in season two, I won’t be tuning in. John Lithgow is the reason i tuned into the show in the first place.